1.1 We reserve the right to change these terms and conditions at any time. Any such changes will take effect from when they are posted on the website and it is your responsibility to read the terms and conditions on each occasion that you use this website. Your continued use of the website shall signify your acceptance to be bound by the latest terms and conditions. 2.2 99% of our orders delivered meet or are delivered before the stated delivery times. However Shining Diamonds shall not be liable for any delay or failure to perform any of its obligations if the delay or failure results from events or circumstances outside its reasonable control, including but not limited to postal, custom and shipping delays, acts of God, strikes, lock outs, accidents, war, fire, flood, snow, material failure, breakdown of plant or machinery or shortage or unavailability of raw materials from a natural source of supply, and given circumstances outside its reasonable control Shining Diamonds shall be entitled to a reasonable extension of its obligations. If the delay persists for such time as Shining Diamonds considers unreasonable, it may, without liability on its part, terminate the contract and refund amonies paid. 2.3 Shining Diamonds shall not be liable for any delay or failure to perform any of its obligations if the delay or failure results from events or circumstances outside its reasonable control, including but not limited to postal, custom and shipping delays, acts of God, strikes, lock outs, accidents, war, fire, flood, snow, material failure, breakdown of plant or machinery or shortage or unavailability of raw materials from a natural source of supply, and given circumstances outside its reasonable control Shining Diamonds shall be entitled to a reasonable extension of its obligations. If the delay persists for such time as Shining Diamonds considers unreasonable, it may, without liability on its part, terminate the contract and refund any monies paid. 2.4 Shining Diamonds shall not be liable for any delay or failure to perform any of its obligations if the delay or failure results from events or circumstances outside its reasonable control, including but not limited to postal, custom and shipping delays, acts of God, strikes, lock outs, accidents, war, fire, flood, snow, material failure, breakdown of plant or machinery or shortage or unavailability of raw materials from a natural source of supply, and given circumstances outside its reasonable control Shining Diamonds shall be entitled to a reasonable extension of its obligations. If the delay persists for such time as Shining Diamonds considers unreasonable, it may, without liability on its part, terminate the contract and refund any monies paid. 3.2 The price you pay is the price displayed on this website at the time we receive your order. Whilst we make every effort to ensure that all prices on our website are correct, errors sometimes do occur. If such an error in the price of the goods you have ordered is discovered, we will let you know of this as soon as possible. You will be given the option of reconfirming the order at the correct price or cancelling it. If we are unable to contact you we will treat the purchase as cancelled. If you cancel and you have already paid for the goods, you will receive a full refund. 3.3 All prices include VAT (where applicable) at the applicable current rates. 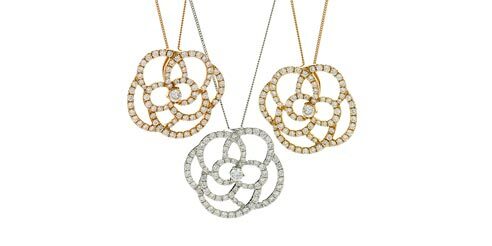 3.4 Shining Diamonds may at its sole discretion cancel your order in which case Shining Diamonds shall return any monies received from you, within 30 days of receipt of such monies to your nominated account. 4.1 Your guarantee is invalidated if you allow a third party to work on the piece that we have made for you. 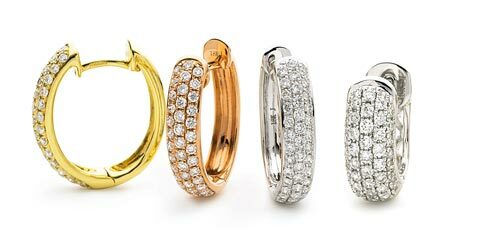 4.3 Eternity Rings may require extra attention, stones, metal or even in some cases require complete re-engineering and may therefore be excluded from this offer. We'll consult you if this is the case. Sizing a plain band ring is a simple process and if executed correctly does not harm or affect the ring in any way. 5.1 Diamonds falling out/Becoming loose - Our Diamonds are set by hand, they are inspected and will not become loose in their settings. Diamonds do not fall out, they have to be compromised in wear to dislodge them. A stone will only become loose as a result of impact, or damage. We cannot be held responsible if your item is suddenly missing a diamond. 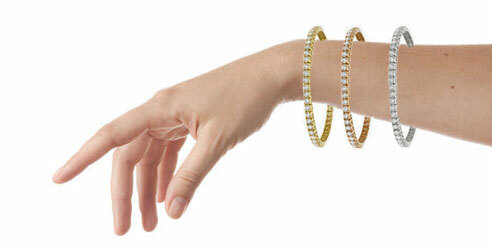 We highly recommend that you insure your diamond jewellery and rings on receiving it. 5.2 Rhodium - All of our white gold items are Rhodium plated, this is a standard industry practice. Rhodium will wear over time, and require re-application. The length of time this will take varies depending upon the level of acidity in skin, and the possible contact with substances such as chlorine. The company cannot be held responsible for the length of time the rhodium plating will last, due to the large amount of variable contributing factors. This does not constitute a manufacturing fault, Rhodium is applied afterwards to improve the colour of the item, and holds no structural benefit. 5.3 Surface scratching will occur if jewellery is worn daily, to fully protect your jewellery, you should have it serviced regularly, whereby the surface scratches can be removed. Gold, Platinum and other precious metals are extremely malleable, this is why they are used for jewellery making, They are susceptible to impact damage, and to misshaping under pressure. Jewellery should be removed before undertaking any physical activity that may cause impact/friction or pressure to be applied to the band. 6.1 You acknowledge and agree that all copyright, trademarks and all other intellectual property rights in all materials and content made available as part of your use of this website shall remain at all times vested in us. You are only permitted to use this material if expressly authorised by us or our licensors (as appropriate). The content of this website (including without limitation any video, pictures, text, audio, audio-visual materials and graphics) may not be copied, reproduced, distributed, republished, downloaded, displayed, posted or transmitted in any form or by any means, except for the purpose stated below. 6.2 You acknowledge and agree that the material and content contained within this website is made available to you for your own personal and non-commercial use and that you may only download such material and content for the purpose of using this website. You further acknowledge that any other use of the material and content of this website is strictly prohibited and you agree not to (and agree not to assist or facilitate any third party to) copy, reproduce, transmit, publish, display, distribute, commercially exploit or create derivative works of such material and content. 7.2 Subject to Section 7.1 above, Shining Diamonds will use reasonable endeavours to verify the accuracy of any information on the site but makes no representation or warranty of any kind (whether express or implied statutory or otherwise) regarding the contents or availability of the site or that it will be timely or error-free, that defects will be corrected, or that the site or the server from which it is made available are free of viruses or bugs or represents the full functionality, accuracy, reliability of the website Shining Diamonds will not be responsible or liable to you for any loss of content or material uploaded or transmitted through the website and Shining Diamonds accepts no liability of any kind for any loss or damage from action taken or taken in reliance on material or information contained on the site. 7.3 Subject to Section 7.1 above, other than as expressly provided in these terms and conditions with respect to specific products and except for the exclusive remedies set out at Section 6 above, any indemnities, warranties, terms and conditions (whether express or implied) are hereby excluded to the fullest extent permitted under applicable law. 8.1 All our advertising meets the conditions of the Advertising Standards Authority code which you can see at www.asa.org.uk. If the website contains advertising material from other people or organisations we clearly identify this material. 10.1 All of our jewellery is manufactured at high quality standards and undergoes number of quality checks. We stand behind everything that we sell and warrant that all items will be free from any manufacturing defects at the time of delivery. Our 1 year warranty offers free prong tightening, re-polishing and cleaning services. 10.2 This 1 year warranty is not transferable and is limited to its specific terms and conditions.This does not cover accidental loss or theft and any damages as a result of mishandling or Inappropriate impact (eg knocks, dents or pressure). This warranty also does not cover loss of diamond under any circumstances. Work carried out by other jewellers will render the warranty void. Your statutory rights are unaffected. In the event that there is ever a problem with your jewellery or you are in need of other services that are not covered under our 1 year warranty, your jewellery can be mailed back to our office for evaluation. 10.3 If your repaired jewellery is required to be posted back to you, there will be a postage charge applicable. This would apply whether or not repair is done, even if any manufacturing faults are found. 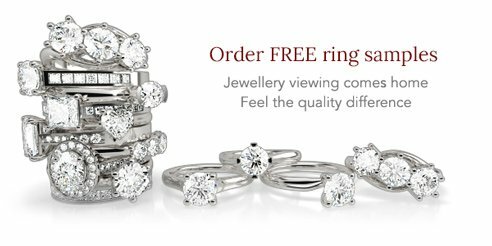 10.4 Please Contact Us if you have any questions or would like to return your item(s) to take advantage of our free 1 year warranty or request additional repair work needed to service your Shining Diamonds jewellery. 11.1 Get Flat 10% off using Exclusive Discount code EASTER19 between Monday 8th April 2019 and Tuesday 30th April 2019 (Inclusive). 11.2 Offer not valid on Free sample orders, Stock sale items, Interest Free Finance and in conjunction with any promotional code or Cashback offer. 11.3 If items from the qualifying order are subsequently returned, Shining Diamonds reserves the right to reduce the value of the refund by value of discount applied. 11.4 Shining Diamonds reserve the right to amend these terms and conditions from time to time where it reasonably considers it necessary to do so.